The work performed included preliminary engineering, design and construction management necessary for the demolition and removal of an existing 500,000 ground storage tank and replacement with a new 500,000 elevated tank. This improvements increased pressure and fire flow in the system, but did not increase overall storage volume. 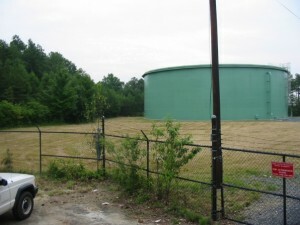 At the time, Paulding County’s total system had less than one day’s storage volume, and since this tank replaced an existing tank there was no concern about chlorine depletion. Also, pipe entry configuration (center and vertical), the shape of the tank, and the fact that the tank is operated on a pump and draw-down cycle results in excellent mixing. ESI worked with the Cobb County-Marietta Water Authority (CCMWA) to design and construct a new 4 million gallon ground water storage tank. The design of the tank included a mixing system that was optimized using Computational Fluids Dynamics (CFD) modeling. CFD modeling allows the evaluation of mixing dynamics within a given storage tank. Multiple inlets and outlets were modeled. ESI’s services included preliminary engineering, design, bidding assistance and construction management and inspection. 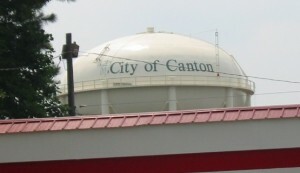 Over the past several years, the City of Canton has experienced tremendous growth ranking it as one of the fastest growing cities in the United States. This growth has resulted in a strain on the existing water distribution system, which has been compounded by a major new development just east of downtown Canton. A large tract of undeveloped land is currently being developed as a mixed use area including a regional hospital, a major shopping and commercial facility, and a combination of single and multi-family residential developments. 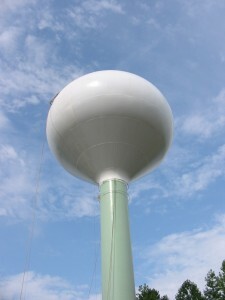 The City committed to providing municipal services to the development including water supply. To assist in developing the infrastructure for providing water service, the City obtained the services of ESI to develop the required documents for expansion of the water system. ESI developed a hydraulic model of the water system to evaluate the required infrastructure for providing water service to the new development. Using the model, it was determined a new 20-inch diameter water main and a 1,000,000 gallon elevated storage tank would be required to meet the peak demand and fire flow conditions. Additionally modifications to an existing pumping facility would also be necessary. ESI performed the planning, preliminary engineering, preparation of plans and specifications and construction administration for the entire project, including preparation of Georgia DOT right-of-way permits, and acquisition of easements. 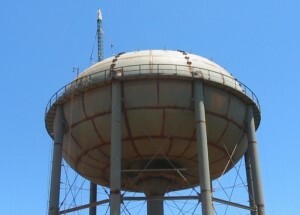 To provide flexibility during bidding a base bid for a multi-column tank was used with an alternate bid for a spheroid pedestal tank. The project ended up with the multi-column tank with a bid price $300,000 less than the spheroid tank.